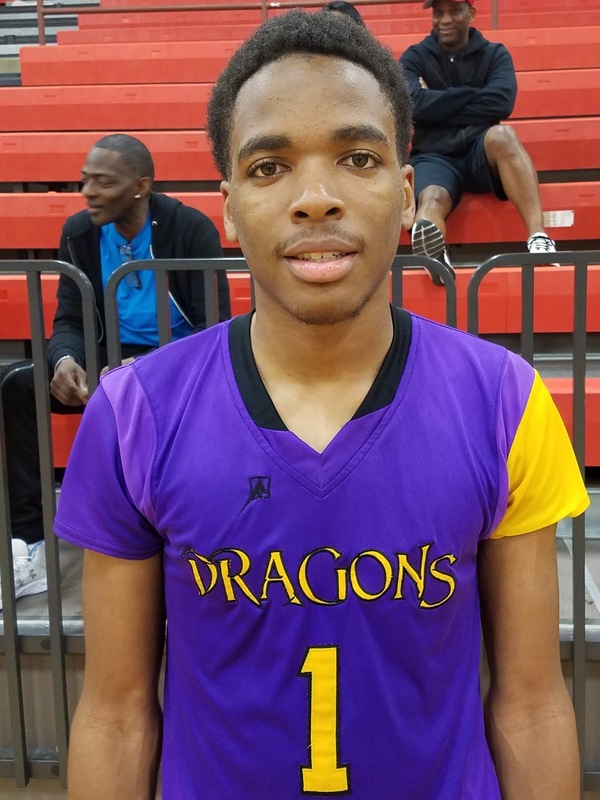 Marquis Stevenson Guard (NY Dragons) – Stevenson was instant offense like Vinnie Johnson off the bench for the Dragons. He probably had the best jump shot in the entire event as he could shoot the 3 ball off the catch or shoot the pullup off the bounce with nice looking mechanics. Marquis also finished strong at the rim with either hand. He had a nice handle and could get anywhere on the floor. He was also a willing tough defender. 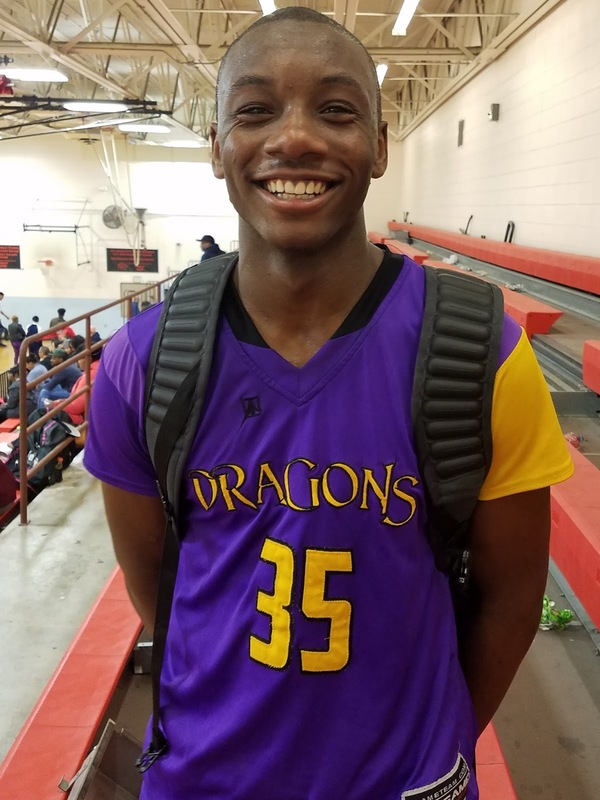 Stevenson had 13, 12 and 10 points in the 3 games we watched. 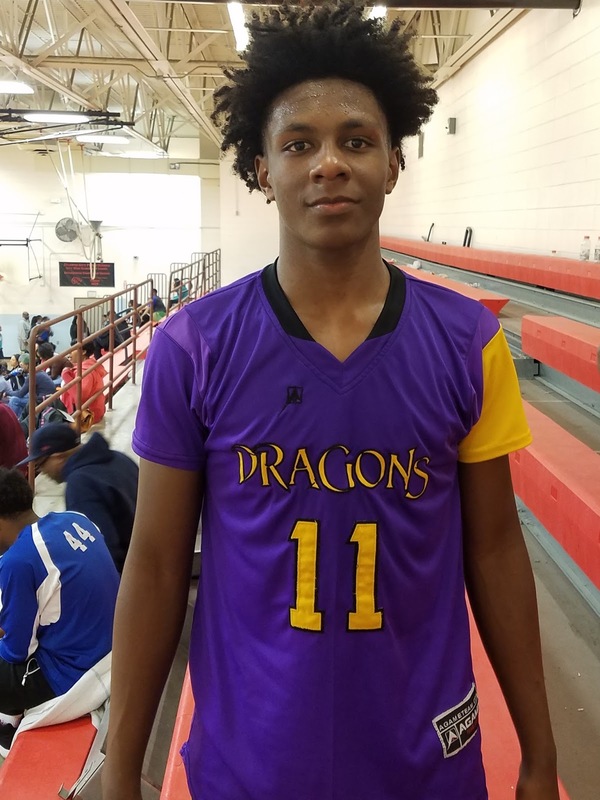 Marcus Dyes Guard (NY Dragons) – Dyes is one of those players that you love to have on your team because he does anything to win the game. 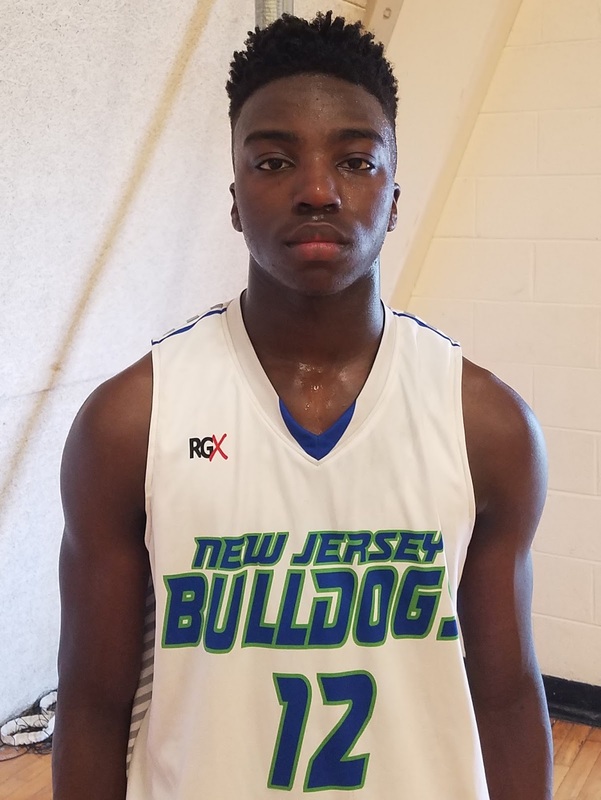 He is a big wing guard that rebounds his position very well and is best scoring the ball by attacking the basket off the dribble in the half court or finishing in transition. He has a very calm demeanor and doesn’t get rattled at any point during a game. At this level he can guard the one through the four which gives his coach a lot of options on the defensive end. He tallied 17 points in their semifinal win. 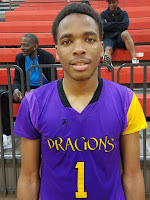 Jalen Hammond Guard (NY Dragons) – Hammond looks really good running the point for the Dragons. He has a lot of weapons around him so he can just run the show and pick his spots on the offensive end. He is a natural point guard that does a good job surveying the floor and figures out how to attack the defense’s weak spots. 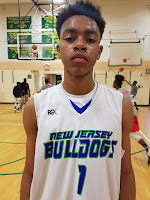 Jalen is a very good on ball defender and he causes havoc for the opposing team’s point guard. He is a very good leader and he led his team to the championship which is what the most important thing is for point guards. 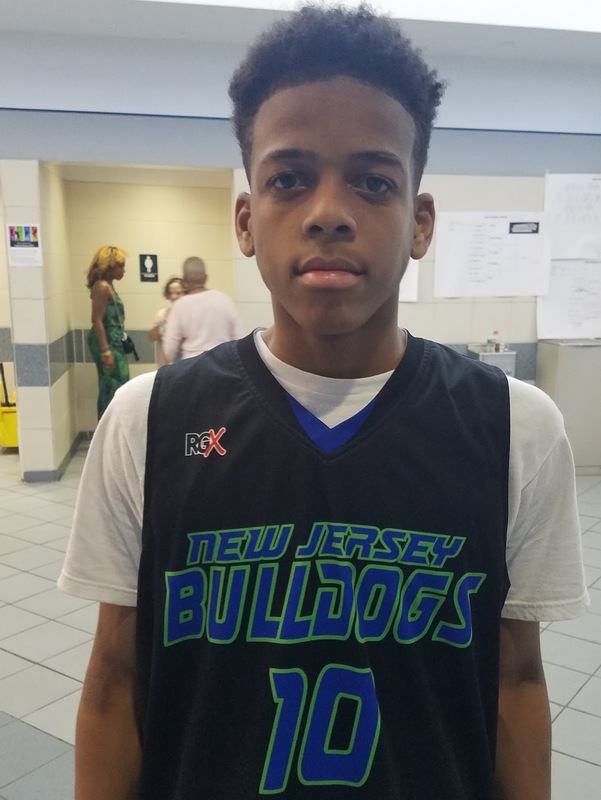 Noah Harris Guard (NJ Bulldogs) – Harris is a combo guard that can play either guard spot but right now his strength is scoring the basketball. He has a very nice stroke for behind the 3 point line and he likes to attack the basket hard either finishing though contact or drawing a foul to go to the line and shoot free throws. He had 15 points in the championship including three 3 pointers. 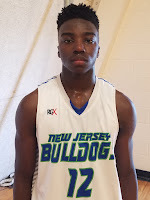 He is part of the three headed monster in the backcourt for the Bulldogs. 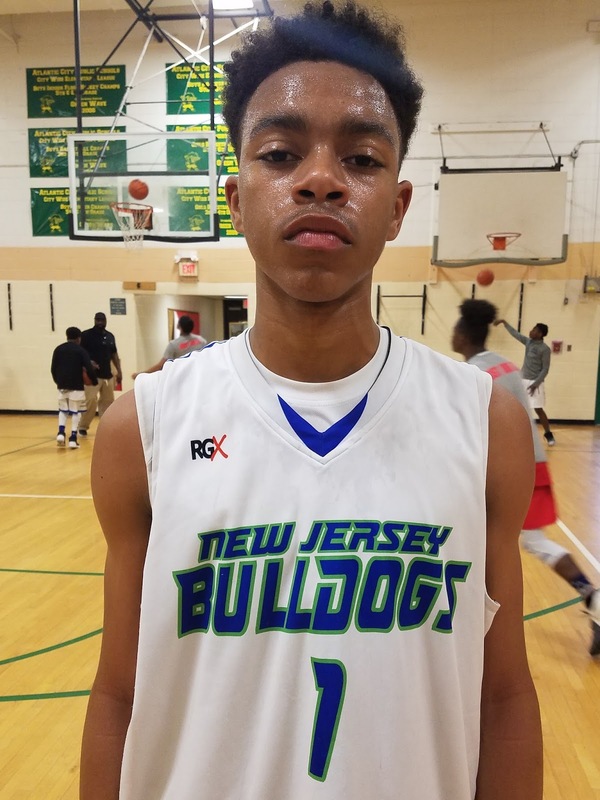 Jaquan Harris Guard (NJ Bulldogs) – Jaquan is a nice size wing guard that we feel is just scratching the surface of his potential. He attacks the basket understanding that he has an advantage at this stage against most other guards due to his height and strength. If fouled he has a nice stroke from the line and we saw him knock down a trey ball in the championship. Harris rebounds well for his position and when he grabs the ball off the glass he can start the break himself. We saw him make a nice steal and then make a tough contested layup through contact. He has the ability to cover all three perimeter positions. He is part of the three headed monster in the backcourt for the Bulldogs. 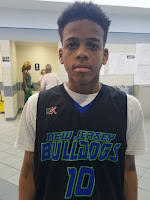 Ernest Carter Guard (NJ Bulldogs) – Carter is the primary ball handler for the Bulldogs. He is quick with a nifty handle. Right now he likes to get his teammates involved working the ball to one of his weapons on the wing but Ernest also has the ability to score in a variety of ways as in the game we watched he had 12 points. 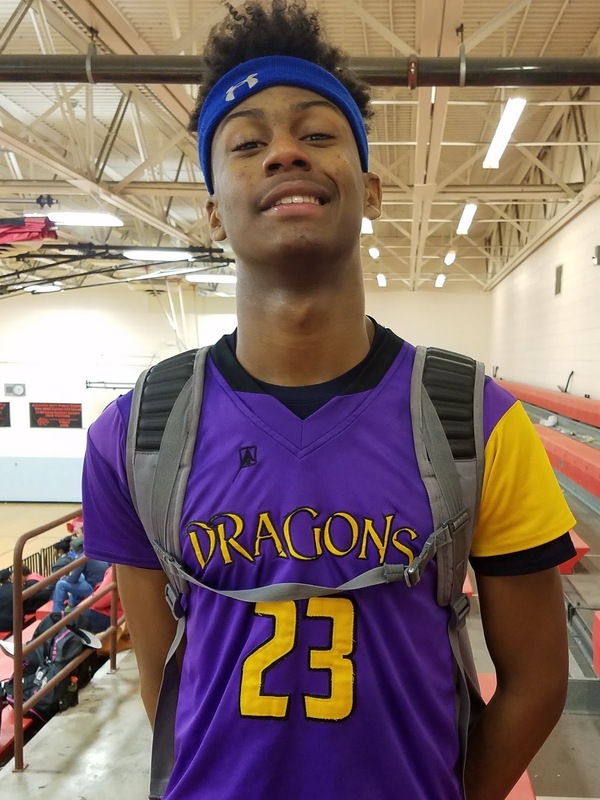 He is a great leader for his squad and he brings his energy on both ends of the floor. He is part of the three headed monster in the backcourt for the Bulldogs.